It was a bummer for the Philadelphia 76ers and their fans - a huge bummer - to lose the way they did on Christmas Day: On the road, to a Boston Celtics team that may be the main team in the 76ers' way en route to an NBA Finals appearance, at the hands of an absolutely killer Kyrie Irving three-pointer in transition with a minute and a half left in overtime. Those marked Kyrie's game-high 40th and final points of the Eastern Conference clash, a middle finger to pundits (like me!) who maintain that Kyrie can never be the No. 1 option on a championship team. 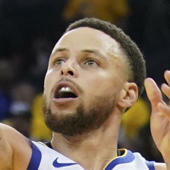 In its chutzpah and confidence, the shot echoed his dagger three in Game 7 of the 2016 Finals that won the title for the Cleveland Cavaliers. Yet that killer shot and that killer result, which could well foretell what might happen between these two teams come May, were not the most important thing that happened to the 76ers on Tuesday. The most important thing that happened for the 76ers on Christmas Day had nothing to do with the players on the floor, or even the bench players head coach Brett Brown was subbing in, or even the clutch shot that the marginal superstar for the opponent sunk in the waning minutes. Instead, the most important thing that happened for the 76ers had to do with a player who didn't play a single minute on Christmas night. You know who I'm talking about: Markelle Fultz, 18 months removed from being pretty much the consensus No. 1 overall pick over future stars like Jayson Tatum, De'Aaron Fox and Donovan Mitchell. There was important news about Fultz on Christmas - not that he was going to play in this game, or that he'd been cured of his apparent nerve injury in his shoulder, or that he'd even be back in the next week or the next month. The news was this: That Fultz was going to be back at some point during this season. This was reported by ESPN's Adrian Wojnarowski hours before the game tipped, and there was Fultz, back with the team again on Christmas night, sitting courtside. Notice that I did not call this "good news." I called it "important news." This news certainly could be good news for the Sixers. Anyone who was dreaming 18 months ago of what Fultz would certainly become doesn't have to make such a huge leap to see the enormous upside in what Fultz could still mean for this 76ers team. This news almost certainly increased the Sixers' ceiling. But it almost certainly lowered their floor. Fultz has been one of the most confounding NBA prospects in years. It didn't at all seem risky when respected basketball minds coalesced around Fultz as the No. 1 overall pick in 2017. Fultz appeared, on paper, an ideal third option for the Sixers to accomplish the most important thing in the NBA: To get a young and talented set of three elite players under contract. Joel Embiid is an MVP candidate, Ben Simmons is a unique talent, and Fultz was supposed the complete the three-legged stool as a remarkable creator with huge potential as a perimeter defender. One scouting report for Fultz before the 2017 draft read like this: "Fultz's athletic tools and versatile skill set give him the draft's best blend of star ceiling and consistent floor... Fultz jumps off the page athletically and possesses creative scoring instincts and playmaking skills. ... The Sixers will be one of the league's most intriguing teams to follow next season, with Fultz at the heart of an all-time extended rebuild. Whatever happens next, it's a win for today." This is not to pick on one scouting report. Most read exactly like this one. But if you're someone who wants immediate results - or if you're someone at all into reading into the huge and glaring red flags around Fultz's first two seasons in the league - that pick feels like an all-time bust. That's one more reason why the Sixers jumped at the possibility of acquiring Jimmy Butler this fall; the player who they expected to take them to the mountaintop fell well short. The Sixers as currently constituted - with Embiid, Simmons and Butler as their Big Three, and with JJ Redick and rookie Landry Shamet raining down threes - can win the Eastern Conference. But most executives I've spoken with would put several teams above them in the pecking order: The Celtics, the Toronto Raptors, the Milwaukee Bucks. And if the Sixers can make the Finals with this team, there's just no likely way they could upset a healthy Golden State Warriors team, the prohibitive favorite to win it all. The Butler trade meant the Sixers sacrificed much-needed shooting and much-needed depth. What Fultz will give them may not be shooting. But he'd certainly give them depth. Imagine what Fultz could have brought even to Tuesday's game against the Celtics. OK, so let's call him a liability on the offensive end. But defensively? That's where he'd make a difference. How were the Sixers able to defend Kyrie? Not well. He got to the rim at will, and hit five of 10 threes. What Fultz could bring the Sixers is a long, athletic defender with elite potential. The Sixers' ceiling gets higher with Fultz on the floor. Maybe it doesn't increase this season, since Fultz, if he's healthy, will almost certainly have a long way to go. But the potential of Fultz increases the Sixers' championship potential for years down the road. Of course, it's a double-edged sword. Dreaming of the potential of Fultz - holding onto him despite his struggles - could pay off. Or it could mean the team remains married to its vision of him 18 months ago and not the reality of what he's become - perhaps temporarily, perhaps irrevocably. So maybe this was good news that Fultz could return to the Sixers this season. Or maybe it was bad news. But make no mistake: This news was more important than any other thing that happened to the Sixers on Tuesday.